Social Service Corridor – to serve charter schools and apartments in the area bounded by Bellaire Blvd., Hillcroft, and US 59. Chinese Community Center – to serve between proposed METRO bus stop and the Chinese Community Center. 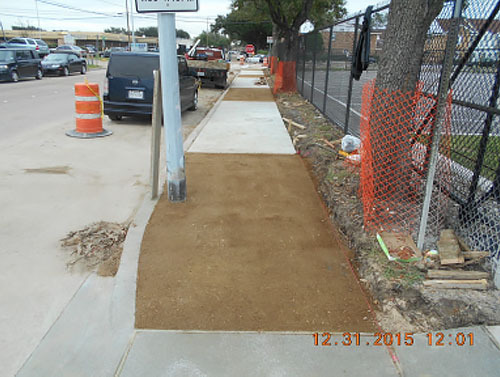 Contractor has finished placing sidewalks around the Chinese Community Center and is about 60% complete on the Social Services Corridor side. Gethsemane UMC has constructed the sidewalks around the athletic field behind the church, and down Bintiff Dr. Contractor has not submitted a pay application at the time of this report. They have completed based on the last months report they were complete with 24% of the work in 43% of the time. 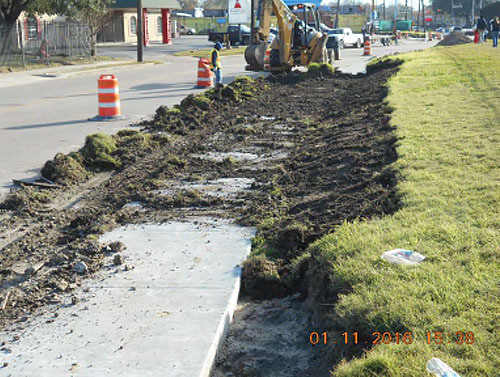 There is a City of Houston force main project that is underway on the west side of Bintiff Dr. The force main contractor is currently in the area preventing our contractor from working. Also, the force main is under the proposed sidewalk on the west side. 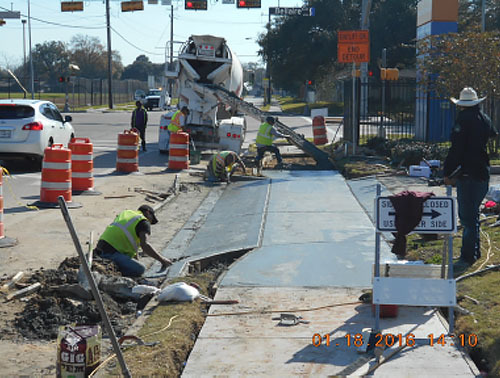 Currently it is unknown if the city job includes sidewalks after the site is restored, but CobbFendley will contact the City of Houston about this project and if it includes sidewalk. If it is not included the additional sidewalk will be removed from this phase and rolled into phase II. Social Service Corridor – to serve charter schools and apartments in the area bounded by Bellaire Blvd, Hillcroft, and US 59. Contractor has finished work on Dunlap, Clairwood, and Hornwood and is working on completing the rest of Tarnef. Contractor has submitted a pay application for the amount of $23,047.83 and CobbFendley has reviewed the pay application and concurs with this amount.